The Haber Motel is conveniently located in downtown Estes Park at the corners of Highways 34 and 36 with free designated parking. For those of you who are planning on visiting Rocky Mountain National Park, The Haber Motel is only a few minutes from the entrance. 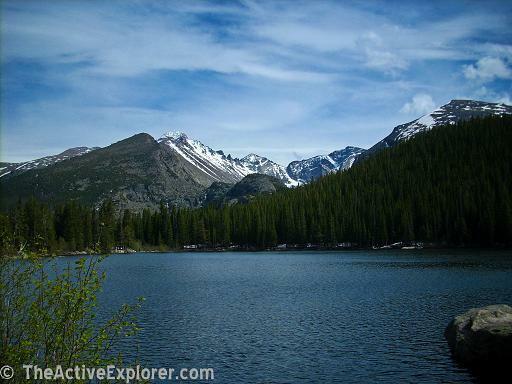 From the Estes Park Convention and Visitors Bureau which is a short walk, you can get the free shuttle to anywhere in Estes Park and Rocky Mountain National Park. At the Hwy 36/34 Intersection, turn left on Elkhorn Ave. Make an immediate right at the Egg and I restaurant and go to the rear parking lot. Highway 34 turns into Elkhorn Ave at the Hwy 36/34 intersection. Go through the light and make an immediate right at the Egg and I restaurant and go to the rear parking lot.